The husband is not a morning person. I cannot even begin to express how NOT a morning person he is. The one thing that tends to rise the grumpy snorer out of his slumber is the smell of French toast wafting from the kitchen. 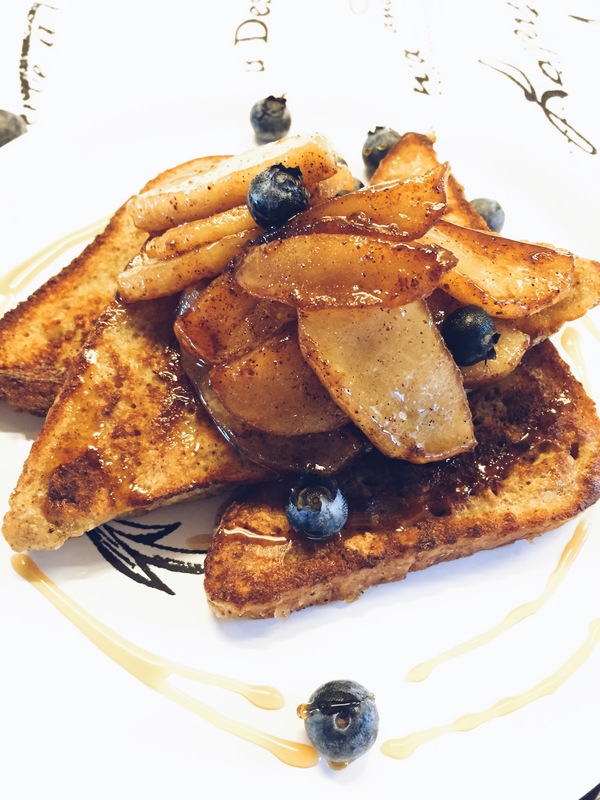 So this morning I decided to make one of his favourites: French Toast with Spiced Apples. I play with different fruits, spices, breads and syrups finding out just how flipping yum can it get! Today I peeled some Pink Lady apples and caramelised them in maple syrup with a generous dose of vanilla bean powder and cinnamon. Seriously. Is there a better smell that cinnamon, vanilla and caramel? While the apples were busy doing their thing I mixed eggs, milk, a pinch of salt, some extra cinnamon and dipped the bread. Brioche is my best for making French toast but experiment! I made French toast with banana bread the other day and it was life-changing. Once the bread has soaked up enough of the eggy mix on both sides I pop it into a heavy Le Creuset frying pan with a blob of butter that is singing and hissing in the pan. Make sure your heat is not too high. You want a gold and crispy outside but you want to make sure you cook the eggy centre through. 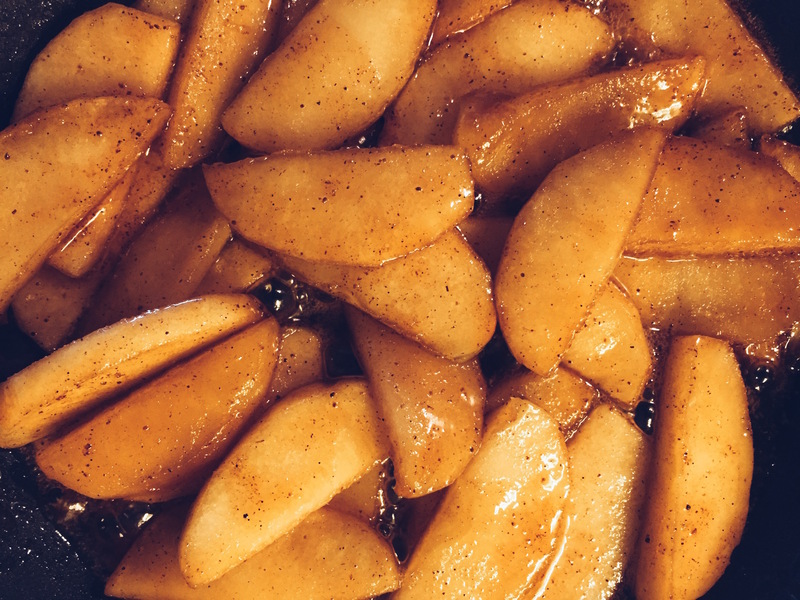 Once golden brown serve straight away topped with the apples, berries and a drizzle of maple syrup. A dollop of Greek yoghurt is one of my favourite additions to this sweet little number. This looks amazing. I wish there were pictures of the process!